Last April 7, the world was too busy to notice Russian fingerprints on the coup that toppled Kyrgyzstani President Kurmanbek Bakiyev. Within weeks, ethnic Kyrgyz and ethnic Uzbeks were at each other’s throats. Moscow, it seems, is good at breaking things, but not at fixing them. As America discovered in Iraq, regime change can ignite smoldering social tensions. The interim government of President Roza Otunbayeva was unable or unwilling to protect Uzbeks from Kyrgyz mobs and, reportedly, from elements of the Kyrgyzstani army. In southern Kyrgyzstan, ethnic Kyrgyz, Uzbeks and Tajiks live interspersed around Stalin-era borders that were literally designed to perpetuate ethnic tensions. The heart of this festering tension is the fertile Fergana Valley, which straddles three countries. Uzbekistan owns the valley floor, Kyrgyzstan owns the surrounding mountains, and Tajikistan owns the mouth of the valley from which flows the Syr Darya River. Uzbekistan manipulates electricity and gas supplies to Tajikistan. And, in apparent response to Dushanbe’s plan to damn the Vakhsh River, curtailing downstream flow into Uzbekistan, Tashkent is reportedly delaying Tajikistan-bound rail traffic. Across Uzbekistan’s border with Kyrgyzstan, three Uzbek exclaves heighten tension. Access to these territories, grazing rights and water were among the issues that pitted Kyrgyz against Uzbeks over the last few weeks. Moreover, as the inland Aral Sea dries up, the entire region is becoming more arid, unable to support its current population, exacerbating tension. Add to this the region’s proximity to Afghanistan, energy pipelines, natural resources, drug trafficking, organized crime and potential resurgence of radical Islam. The mix is sure to capture the attention of six major powers and an emerging regional power, Uzbekistan. With military bases just miles apart outside Bishkek, Kyrgyzstan’s capital, Russia and America garner most of the commentary, but continued US presence is not assured. Nonetheless, addicted to a “reset” in US-Russian relations, Washington is coordinating its Kyrgyzstan policy with Moscow. It has offered Bishkek $10 million in humanitarian aid and called for an investigation into events in southern Kyrgyzstan—a sure sign that it cannot think what to do. Russia reinforced its base with 500 paratroops and sent Otunbayeva some law enforcement assistance. But it withheld the peacekeeping troops she requested. With long logistics lines and an anemic army, Moscow does not want to risk a clash with Uzbekistani forces. Tashkent, unhappy with its southeastern borders, anxious to protect ethnic Uzbeks and powerful by central Asian standards, could use the conflict to redraw borders and boost its regional stature. Uzbekistan’s growing importance is not lost on India, which is naturally interested in Pakistan, Afghanistan and the lands just beyond. New Delhi is forging military links with Tashkent and it maintains its only extra-national military base at Farkhor Air Base in Tajikistan. China fears central Asian troubles spilling into its restive Xinjiang Region. Economically, the 40 billion cubic meter capacity Turkmenistan-Uzbekistan-Kazakhstan-China gas pipeline runs just north of the Kyrgyzstan-Kazakhstan border. And the path of the prospective Uzbekistan-Kyrgyzstan-China Railroad, in which Turkey and Iran are also interested, is projected across the troubled areas of Kyrgyzstan. Turkey and Iran are also interested in the region. Turkish Foreign Minister Ahmet Davutoglu was recently in Kazakhstan to coordinate aid to Kyrgyzstan. And the Turkish foundation that recently clashed with Israeli forces off the coast of Gaza is sending aid. Like India, Iran is interested in Pakistan, Afghanistan and the lands just beyond. And elements in Tehran are always searching for opportunities to spread the Islamic Revolution. For now, radical Islam has been routed from central Asia. 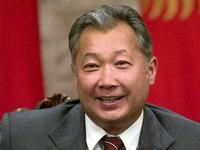 But Kyrgyzstan devolving into a failed state could bring it running back. These high geopolitical stakes and unresolved tensions will keep the region in turmoil, continuing to draw the attention of major powers. Russia is likely unwilling and certainly unable to fix what it broke. Nonetheless, it will remain the major player and not stray far from the central Asian fray. Interested in “reset” only in its own favor, Moscow will continue to resent American influence and particularly any military presence. The only counter is for Washington to behave like a great power—abandon “reset,” stop sub-contracting its interests in central Asia to Moscow and conduct vigorous diplomacy with every central Asian country and some of the outside powers too. David J. Smith is Director, Georgian Security Analysis Center, Tbilisi, and Senior Fellow, Potomac Institute for Policy Studies, Washington.